The popular 80's arcade series is back! 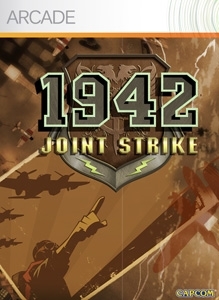 1942: Joint Strike combines classic shoot-em-up gameplay with 3D HD graphics. Maneuver WWII-era aircrafts and take on huge waves of incoming enemy fire, duck and dodge explosions and missiles while challenging huge enemy bosses. Recruit a wing man and employ new “Joint Strike” attacks, combining the powers of both aircrafts into one devastating barrage. With new weapons and power ups in your arsenal, prepare to rejoin the battle! Download the trailer now!